As sweet as cinnamon: A little bit of sunshine...brightens the day! and the jonquils shining their beauty all around. and sings it too me too...LOL...remember that song? a cuddle as their coming over for lunch..
a cyber cuddle again... yep thanks to Skype..
this is my cyber cuddle with Thomas last night.... oh so lovely..
Christmas project I want to share with you all. 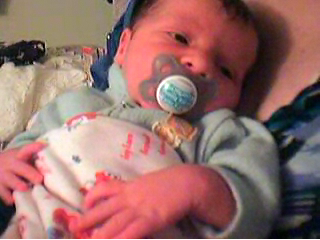 Oh LOOK at the sweet baby - couldn't you just eat him up - what a doll-baby!!! Spring flowers always bring such a smile don't they Dawn. A big hunk of sunshine in such a little thing. 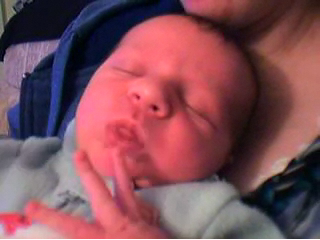 Wee Thomas is adorable, thank goodness for Skype. Yep DH plays it all the time. " You are my Sunshine my only Sunhine, etc"
Oh how gorgeous is wee Thomas. Enjoy your real cuddles with GS No 1 too. wasnt it a great day! Nice to see the sun..it really makes you feel good! Gorgeous little Thomas.....! Totally gorgeous! And isn't skype wonderful??? What a lovely little Thomas (the same name I choose for my 1st son almost 29 years ago). The sun brightens up the day. I am sorry to read about your loss of a dera friend - that is the way life is. A new life is born, an old life leaves. Wish you a wonderfull day. Isn't he lovely? Cyber cuddles are not fun! I miss not being able to cuddle our newest granddaughter who is over in Perth.